Summertime is a busy time for socializing. As the sun stays up later, friends and families gather around bonfires and beaches to enjoy great food, tasty drinks, and a sense of community. These are the times that make life grand. 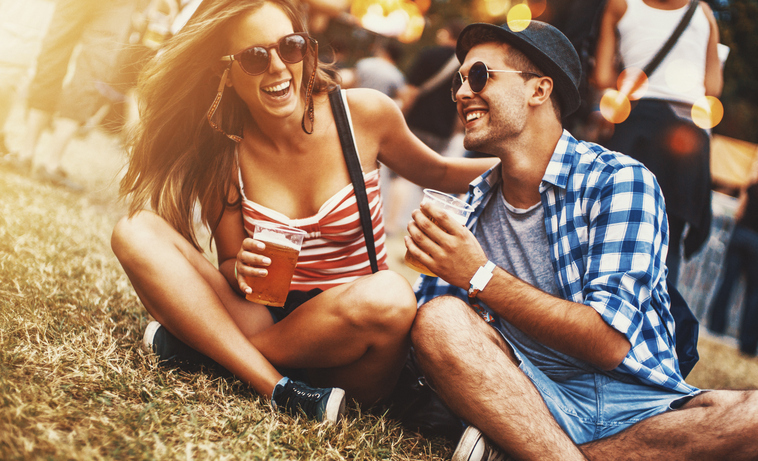 At the same time, there is reason to become more mindful about what goes into your mouth as you breeze your way through summer, particularly when it comes to alcohol consumption. Studies have indicated that a glass of wine with dinner may offer health benefits. We all know how easily one glass can turn into three. Whatever your favorite adult beverage may be, it is important to know that alcohol has both short-term and long-term effects on the eyes. Dry eyes. Alcohol has a diuretic effect on the body. For individuals with dry eye syndrome, the additional dehydration stemming from alcohol consumption can exacerbate an already-frustrating problem. Decreased contrast sensitivity. It is vital to have visual acuity in all levels of light. One study suggests that, after consuming a few drinks, the eyes’ ability to adjust to brightness and contrast decreases by 30%. This is a significant reduction that may affect night-vision. The reason for this decrease in adjustment could be that pupil-reaction slows. Vitamin deficiencies. The body uses vitamins that are consumed by processing them through the liver. When alcohol is consumed regularly, this processing is diminished and may result in deficiency. Vitamin A deficiency is a concern for long-term eye health because this vitamin supports the delicate tissues in the eye, including the retina and cornea. Heavy drinking poses a risk for the early development of dry macular degeneration, according to research. This could be related to chronic dehydration and nutrient depletion caused by liver toxicity. Like macular degeneration, cataracts may also be attributed to excessive alcohol consumption. Interestingly, research has suggested that moderate alcohol consumption (one drink a day) provides a degree of protection against cataracts. The summer months invite us to engage more in social events. We can do this without putting our eyes and general health at risk. Keep these tips in mind as you celebrate summer, and remember to schedule your routine, comprehensive eye exam in our Canfield, North Canton, or Alliance office.